Small Payout Now = Big Payback in 2017! 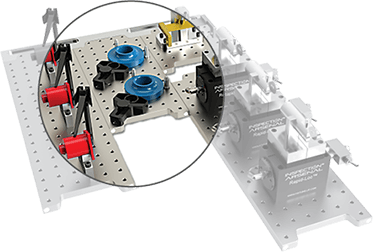 Now you can create a LEAN, standardized process across all inspection equipment with Loc-N-Load™ plates and work holding from Inspection Arsenal™. Join the many manufacturers benefiting from this technique. Whether you’re new to CMMs or have passed up inspection fixturing in the past, now there’s a simple, affordable, profit-increasing option. Inspection Arsenal™ Now A Complement to Wenzel America Solutions! We were looking for a quick change fixture system for our CMM’s and believe that your solution is just that! We are always focused on lean activities and as we expand our use of CMM’s on our shop floor this solution will be instrumental in our having a “self serve” inspection process.